Propability - in collaboration with the Visual Merchandising team at Fenwick - produced, manufactured and installed props to windows to support the Fenwick of Bond Street Fashion Store brand new shoe department launch. Working alongside the Fenwick display team, from a loose sketch, Propability brought vision to life. The end result - an eye-catching, ‘larger-than-life’ and slightly risqué window that superbly presented the range of product available in store and captured the attention of passers-by. An utterly fabulous pair of pins! A giant pair of female legs were sculpted in-house at Propability in polystyrene, coated in fire resistant polyurethane and sanded smooth before being painted. 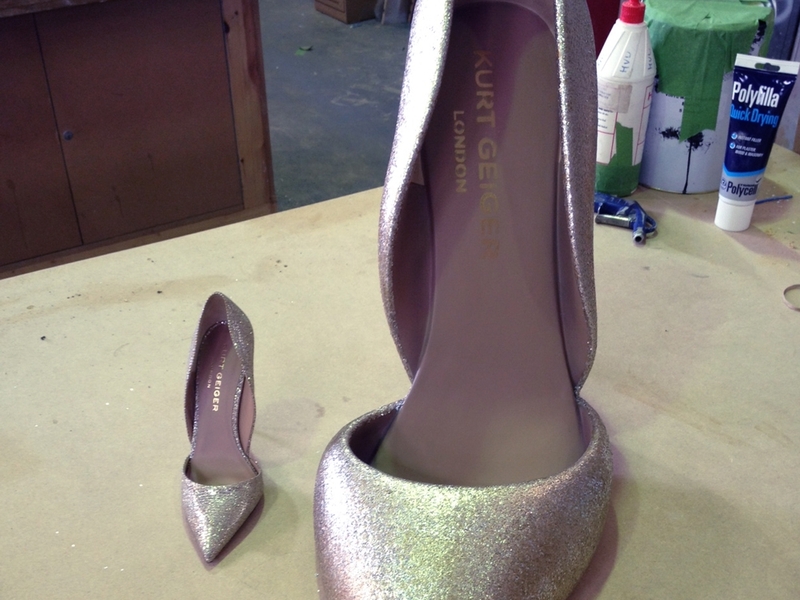 A replica of a Kurt Geiger shoe and a replica giant handbag were created. The bag – an oversized version of an existing bag in the store - was made from fire resistant polystyrene, sheathed in fire resistant fibre glass, filled and sanded smooth. The straps were created using plastazote foam strips, with gold detailing such as buckles either sculpted in MDF and sprayed or made using gold mirror acrylic. The handbag sculpt in leopard print was seductively hung from the stiletto heal of the shoe. Over-sized shoes with oversized shoe boxes were stacked to the side and featured the logos of the brands available in store. 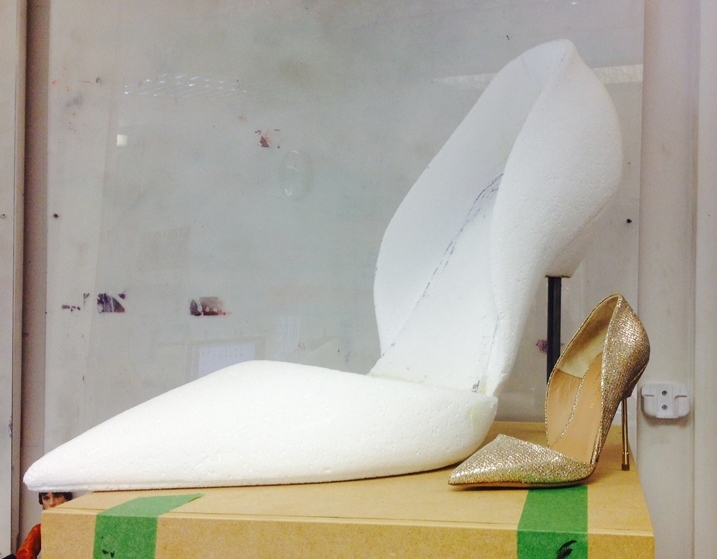 Adding further sparkle, Propability constructed a giant replica of a Kurt Geiger glittered shoe. This was meticulously made with exceptional attention to detail, including not only sourcing the same colour glitter but also scaling up the diameter of the glitter flakes to match the new size of the shoe. The oversized sculpts all manufactured with exquisite detail in our in-house workshop, created a playful overall impression and showcased the products superbly. The full effect of the three window scheme created a very eye-catching display - capturing the attention and interest of passers-by. The project was planned for short term longevity and installed for the duration of the launch. However, the shoe boxes were so well made, Fenwick plans to use them as in-store features in the future.